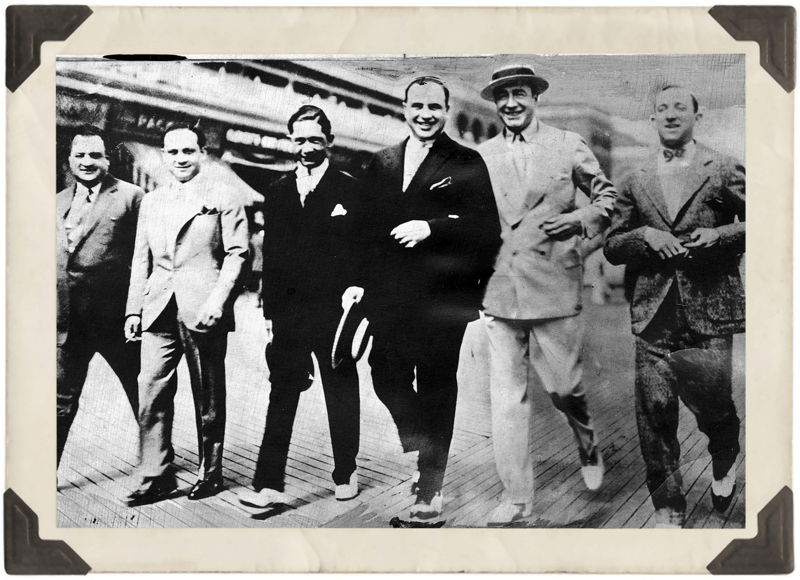 The Atlantic City Conference was a gathering of gangsters between May 13th and 16th in 1929. It is classified as one of the earliest and most important crime summits in history and had a major impact on the direction of organized crime through the rest of prohibition. Other major crime summits included the Havana Conference in 1946 and the Appalachian meeting in 1957. It was overseen by Atlantic City boss Enoch Johnson and included many famous names. This conference paved the way for the National Crime Syndicate and the gangsters discussed many issues over the days. These issues included gang wars and how to avoid them along with the expansion of their illegal bootlegging operations. Most importantly this meeting was a major set into organizing the underworld from a collection of loosely affiliated groups into a major, National Crime Syndicate. The Atlantic City Conference was organized by Jewish gangster Meyer Lansky in early May of 1929. Lansky was planning his wedding and decided that a honeymoon to Atlantic City would be the perfect conditions to host a criminal summit. The Atlantic City Conference was attended by every gangster from Florida to Kansas City. This meeting was the first of its kind in both breadth and amount of gangsters in attendance. The events discussed at this meeting had major ramifications for the progression of crime throughout the entire United States. This meeting paved the way for the development of a multi-ethnic and massive criminal organization that became known as the National Crime Syndicate. Only a year and a half after this meeting Luciano and his gang would double cross both of the Old World bosses Masseria and Maranzano and assert control over the entire La Cosa Nostra themselves with the development of The Commission. The main organizer of the event was Atlantic City boss, Enoch Johnson. Exerting complete control over every aspect of life in Atlantic City, Johnson was able to secure both the means and location necessary to carry out such a brazen event in a public setting. This meeting was most likely organized by Charles Luciano and Meyer Lansky along with the support of the mid-level management of the other gangs operating in the Gangsters area. Major mafia leaders Joe Masseria and Salvatore Maranzano were not in attendance, mainly due to their reluctance to work with non-Italian and even non-Sicilian gangsters. gangsters during this time was experiencing a massive series of gang wars between the North side and the South side, with a lot of publicity and heat being drawn on Al Capone and the gangsters Outfit.